Despite all the controversy lately, Facebook has become something of a staple for businesses today. Whether it’s the ease of creating a page for your business or the simplicity of building a campaign to reach more of your potential customers, Facebook has become almost indispensable in an online marketing strategy. Over the years, however, Facebook advertising has changed quite a bit. Here’s a quick look at how Facebook advertising has evolved and how it continues to evolve in 2018. Facebook advertising is predicated on the use of sophisticated algorithms. These algorithms inform the platform what to show each individual user. If, for example, someone searches for a number of used car dealers, the ads displayed in their Facebook feed are much more likely to be related to used car dealers and tips for shopping for used cars. The algorithms behind Facebook are ever-evolving. The latest evolution was announced in early 2018. Although this announcement generated a good deal of discussion, especially since Facebook announced it was designed to target “fake news,” Facebook has switched its algorithms before. Generating genuine interaction with Facebook advertising and promoted content is more important than ever before. Of course, paid advertising will see a boost thanks to the algorithm change, which means increasing competition for Facebook ads. You may want to revise your budget. Video has been increasing in importance for most businesses, including automotive dealerships. More people report they watch videos than ever before. In fact, many people claim they’ll watch a video before they read any copy on a website. Social video has been increasingly important as well, although concrete results have been difficult to determine. Facebook’s algorithms are still prioritizing live videos, which could make them an effective tool for your business to gain visibility, even in a more crowded, competitive marketplace. It’s important to remember how videos are viewed on social platforms like Facebook. Most are viewed on smartphones, as users are on the go. Most are also watched with the volume muted, meaning your video must be compelling without sound. Measuring the performance of social media marketing and online selling has proven to be somewhat difficult for most businesses, car dealerships included. How do you know what you’re doing is working? If you can’t prove it’s working, how can you justify continuing to spend money on it? Two new measurements launching in 2018 are hoping to address this issue. They’ll allow marketers to see which creative is working best. Creative split tests will enable you to test two different ad formats and measure performance. From this, you’ll be able to get a better idea of what copy, image, and headline combinations are working the best with your audience. 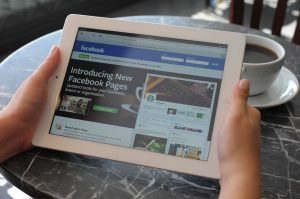 Keep in mind almost any Facebook advertising you design should be generated with mobile in mind. Most Facebook users access the platform from their smartphones, and this number is only rising. Canvas ads are one easy way to create mobile-friendly content. They’re also an easy way to incorporate video into your digital marketing efforts. Facebook is constantly improving its ad offerings, and canvas ads are just one example of those efforts. Although Facebook’s changing algorithms have increased competition, there are also many innovations to take note of. Facebook advertising has evolved and continues to evolve. Keep an eye on trends and innovations that can help you as you design your next Facebook ad campaign.